Winners Announced in Accelerate Okanagan’s "Jump:Start:Challenge"
– The winners of Accelerate Okanagan’s Jump:Start:Challenge have been announced following the final "Pitch-Off" sessions. These took place in Kelowna on Wednesday, November 8 and in Vancouver on Thursday, November 14 before an invitation-only audience of top-tier investors. Winner: Media Cooler Innovations Inc.
Media Cooler Innovations Inc. is a Canadian technology leader and developer of an innovative software-as-a-service platform solution. Located in Kelowna, the company was incorporated in 2010 and founded by Alison Yesilcimen and Bryce Cutt. Media Cooler’s white-label SaaS solution, MediaWorks, provides a searchable database of publisher’s content and a transactional platform that allows customers to license the rights to republish those articles and images. This system provides an easy way for businesses, looking for high-quality, industry-related news and features, to license content for their websites, newsletters, and online publications. The platform also facilitates custom article requests generating a new revenue stream and valuable business leads. Their first customer is the Toronto Star. Prize packages for the top three companies include free drop in office space at Accelerate Okanagan. The overall winner will also receive access to Accelerate Okanagan’s Venture Acceleration Program, which helps high potential technology companies accelerate their growth and maximize their opportunity. An investor-ready pitch competition, the Jump:Start:Challenge is designed specifically to help technology companies and entrepreneurs raise investment to finance their growth, increase their revenues and drive market share. In total, 42 applications were received for the Jump:Start:Challenge. 22 of these entrants were then selected to present their pitches at an open forum at the Jim Pattison Centre for Excellence in Penticton. From these 22, ten were selected to move to the next round, where they received nine weeks of intense training, coaching and mentorship to gain detailed knowledge of the business opportunity and improve their investor presentations. entrepreneurs in their efforts to secure funding and grow their companies," said Jeff Keen, CEO of Accelerate Okanagan. Keen went on to say, "We were extremely impressed by the caliber of the companies that entered this year’s competition. All of the finalists were able to demonstrate excellent business and investment opportunities. We hope to develop long term relationships with all of the Jump:Start participants in order to help secure the long term success of their companies." The winners of Accelerate Okanagan’s Jump:Start:Challenge have been announced following the final "Pitch-Off" sessions. These took place in Kelowna on Wednesday, November 8 and in Vancouver on Thursday, November 14 before an invitation-only audience of top-tier investors. The Jump:Start:Challenge is an "investor-ready" pitch competition launched specifically to help technology companies and entrepreneurs raise investment to finance their growth, increase their revenues and drive market share. 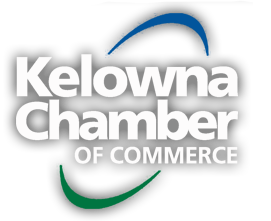 Beyond this, the Challenge aims to stimulate local high-tech job creation and the formation of new businesses in high growth sectors of the economy, attracting new investment, developing increased business capacity and supporting the attraction of skilled people to the Okanagan Valley region of British Columbia. Accelerate Okanagan, a technology focused not-for-profit, was formed on December 31, 2010 with the mission to increase the number of technology companies that start and grow in the Okanagan by helping to develop and support a vibrant entrepreneurial, creative and innovative technology community and providing programs that support entrepreneurs and technology companies looking to start, accelerate and grow.